A cravat, symbol of culture and elegance, is associated with Croats. They have not actually patented it, but they spread it as an accesorry across Europe in the 17th century. Then it became and, to this day, remained a necessary article of clothing under the name of Croatia. What is the histoy of the cravat? After Turkish attacks, the Croatian Military Boreder was formed and its soldiers were an inexhaustible source for other European battlefields. They participated in the German Thirty Years War (1618-1648) and they were easily recognized because of the scarves around their necks, a predecessor of the cravat. From 1635 Croatian soldiers also served in France and in 1667 a special regiment named Royal Cravates was formed. Common soldiers wore scarves made of coarse materials and officers wore scarves made of fine cotton or silk. These neck scarves were a part of Croatian battle dress and a kind of identification because uniforms did not exist at the time. 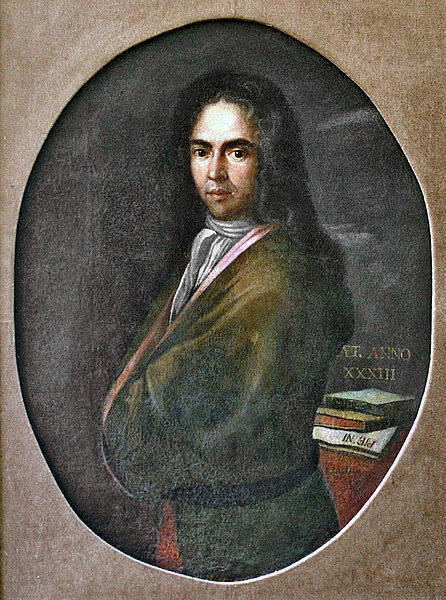 It is known that the French king Louis XIV was involved in secret negotiations with counts Zrinski and Frankopan in order to get Croatia under French patronage. That failed, but the Sun King started to wear a cravat because it was more practical and more beautiful than the starched high-lace collar the French used to wear. When the most powerful European king put on the cravat, a new fashion style became popular. The court even employed a cravat-maker (cravatier) who delivered a few cravats to the king on a daily basis so he could choose the one that suited him most. The cravat quickly spread across Europe. After the French, the Belgians and the Dutch also accepted it and then it came to the British Isles which was crucial for its development. Then it conquered all continents. The English have turned the cravat into a cult. They changed the patterns and the way of knotting. Until the 19th century, the cravat was white, but the English introduced coloured cravats and they showed someone’s style. Later, Jesse Langsdorf, an American textile manufacturer, made a revolutionary step by cutting the fabric into three parts and then sewing it back in a way which enabled easier tying and industrial production. The Italian have added new artistic elements which stressed the individuality of the person wearing it. Although there are, theoretically, 85 ways to knot a cravat, only a dozen of knots suit the usual notions of symmetry and balance. The most famous knot is a single or double Windsor knot which was introduced by the Duke of Windsor. Today the most popular shapes of cravats are the elongated ones (half-bottle shape), bow ties and the so-called ascot-ties.